SC connectors offer excellent packing density, and their push-pull design reduces the chance of fiber endface contact damage during connection. LC connectors are replacing SC connectors in corporate networking environments due to their smaller size; they are often found on small form-factor pluggable transceivers. ST connectors have a key which prevents rotation of the ceramic ferrule, and a bayonet lock similar to a BNC shell. SC to ST adapter bridging your need about old fashion SC conector to the new simple ST Connector, for Patchcord click tag below. An optical fiber connector terminates the end of an optical fiber, and enables quicker connection and disconnection than splicing. The connectors mechanically couple and align the cores of fibers so that light can pass. Most optical fiber connectors are spring-loaded: The fiber endfaces of the two connectors are pressed together, resulting in a direct glass to glass or plastic to plastic, respectively, contact, avoiding any glass to air or plastic to air interfaces, which would result in higher connector losses. A variety of optical fiber connectors are available. The main differences among types of connectors are dimensions and methods of mechanical coupling. Generally, organizations will standardize on one kind of connector, depending on what equipment they commonly use, or per type of fiber (one for multimode, one for singlemode). In datacom and telecom applications nowadays small form factor connectors (e.g. LC) and multi-fiber connectors e.g. MTP) are replacing the traditional connectors (e.g. SC), mainly to pack more connectors on the overcrowded faceplate, and thus reducing the footprint of the systems. LEGO Mindstorms is a line of Lego sets combining programmable bricks with electric motors, sensors, Lego bricks, and Lego Technic pieces (such as gears, axles, and beams). 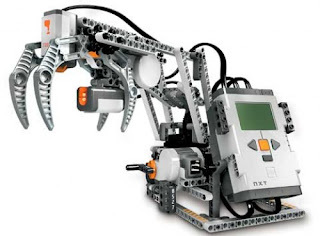 Mindstorms originated from the programmable sensor blocks used in the line of educational toys. The first retail version of Lego Mindstorms was released in 1998 and marketed commercially as the Robotics Invention System (RIS). 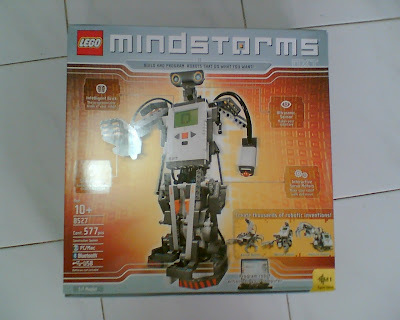 The current version was released in 2006 as Lego Mindstorms NXT. The hardware and software roots of the Mindstorms Robotics Invention System kit go back to the programmable brick created at the MIT Media lab. This brick was programmed in Brick Logo. The first visual programming environment, called LEGOsheets, for this brick was created by the University of Colorado in 1994 and was based on AgentSheets. The original Mindstorms Robotics Invention System kit contained two motors, two touch sensors, and one light sensor. The NXT version has three servo motors and four sensors for touch, light, sound, and distance. Lego Mindstorms may be used to build a model of an embedded system with computer-controlled electromechanical parts. Many kinds of real-life embedded systems, from elevator controllers to industrial robots, may be modelled using Mindstorms. Mindstorms kits are also sold and used as an educational tool, originally through a partnership between Lego and the MIT Media Laboratory. The educational version of the products is called Lego Mindstorms for Schools, and comes with the ROBOLAB GUI-based programming software, developed at Tufts University using the National Instruments LabVIEW as an engine. The only difference between the educational series, known as the "Challenge Set", and the consumer series, known as the "Inventor Set", is another included light sensor and several more gearing options. Sensors are connected to the NXT brick using a 6-position modular connector that features both analog and digital interfaces. The analog interface is backward-compatible (using an adapter) with the older Robotics Invention System. 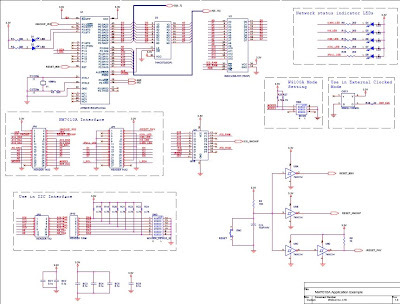 The digital interface is capable of both I2C and RS-485 communication. Simulates of 26 AWG up to 23.5kft with 0.5kft minimum resolution. 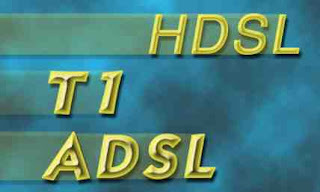 Support ADSL, HDSL, T1 and E1 Modems/Transceivers test requirement. Remote control via an RS-232 interface provides the user with full flexibility and commonality with other systems. Provide PC control software, it supports Window 95/98/2000/ME/NT operation system and also includes simple C and VB. It has 7-segment LED display, indicate simulating cable length. Case structure and easy to construct their own test base. 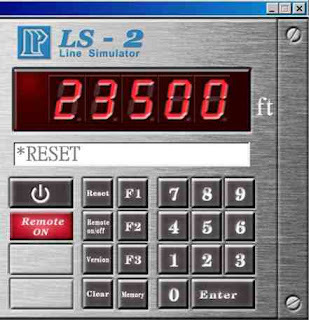 Individual Line Distance 500ft to 26 Kft. MAX 100mA, 300V DC, Frequency MAX 1.5 MHz. The Parallax GPS Receiver with its integrated patch antenna can provide standard raw NMEA0183 strings or specific data from up to 12 satellites via a standard serial interface. The module provides Current Time, Date, Latitude, Longitude, Altitude, Speed and Heading among other data, and can be used in a host of applications, including navigation, tracking systems, mapping, fleet management and robotics. 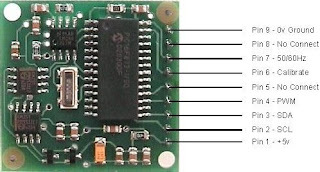 The Parallax GPS Receiver Module includes a programmable Parallax SX microcontroller and open-source control firmware available. immune to common rotary alignment problems. -Use USB as power source, with external DC option if it is needed. 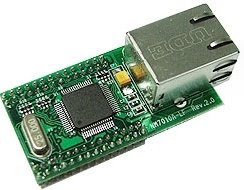 -USB communication with PC on data transfer rate 12Mhz/s. -Build-in surge protection circuit to protect programmer and device. -Software will work under WindowsSE/ME/2000/XP. -Compact size and low power consumption. -Signature ID recognition. Programming use internal timer. -Software CD with user guide(Electronic version). 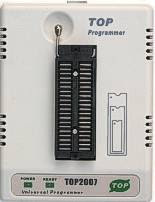 Expand your MCU or microprocessor unit with TCP/IP capable with NM7010 module. 1. Convert RS232 voltage level to RS-485 and vice versa. 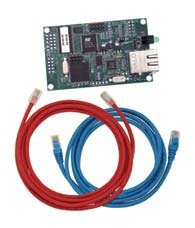 The Parallax Internet Netburner Kit includes: PINK Ethernet Module, blue Cat5 straight-through cable, red Cat5 cross-over cable, six hookup wires, and documentation. This compass module has been specifically designed for use in robots as an aid to navigation. The aim was to produce a unique number to represent the direction the robot is facing. The compass uses the Philips KMZ51 magnetic field sensor, which is sensitive enough to detect the Earths magnetic field. The output from two of them mounted at right angles to each other is used to compute the direction of the horizontal component of the Earths magnetic field. 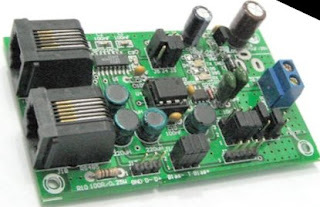 The compass module requires a 5v power supply at a nominal 15mA. There are two ways of getting the bearing from the module. A PWM signal is available on pin 4, or an I2C interface is provided on pins 2,3. The PWM signal is a pulse width modulated signal with the positive width of the pulse representing the angle. The pulse width varies from 1mS (0° ) to 36.99mS (359.9° ) – in other words 100uS/° with a +1mS offset. The signal goes low for 65mS between pulses, so the cycle time is 65mS + the pulse width - ie. 66ms-102ms. The pulse is generated by a 16 bit timer in the processor giving a 1uS resolution, however I would not recommend measuring this to anything better than 0.1° (10uS). Make sure you connect the I2C pins, SCL and SDA, to the 5v supply if you are using the PWM, as there are no pull-up resistors on these pins.